By: By Marcia B. Harris and Sharon L. Jones. Courtesy of the National Association of Colleges and Employers. Get insight into 10 career-related areas so you can help your son or daughter plan for a career. Security vs. adventure. Accountant, Peace Corps volunteer, journalist, college professor. Ultimately, your son or daughter should make the choice. Of course, you may want to mention factors to consider, such as job-market demand, salary ranges, long-range opportunities, skills required, and so forth. Just because an occupation is “hot” now does not mean it will be equally in demand in 10 years, or that your child has the aptitude or motivation for it. Most employers do not place a premium on a double major. It usually requires an extra one or two semesters to obtain a second major and does not particularly enhance a student’s marketability. Exceptions would be a second major or a major and minor chosen for a specific career, such as English and chemistry for technical writing, or a health policy major and business minor for hospital administration. Of course, some students may choose to double major primarily for academic/intellectual purposes. Some students who get off to a rocky start eventually pull up their grades; however, this can be difficult to do. Advanced placement credits and study-abroad courses generally do not count in the computation of a student’s GPA. Some employers use GPA cutoffs in considering applicants for job openings. Others stress the student’s overall background: experience, number of hours worked during the school year to finance college, leadership activities, and other key skills or attributes. 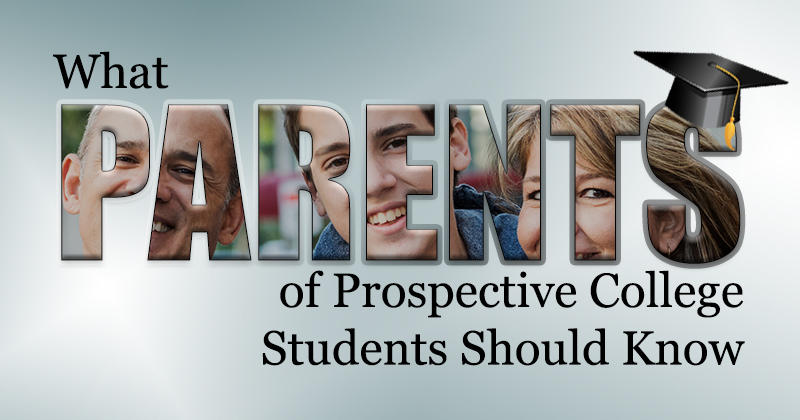 Encourage your son or daughter to make academics a high priority beginning with the freshman year. Nevertheless, it is important to remember that it may take him or her a while to adjust to the rigorous academic demands of college. You may want your son or daughter to work in his or her hometown every summer. However, the experience gained as a lifeguard or ice cream shop counter clerk does not compare to that which comes from an internship in the career field that he or she aspires to enter. Future employers will seek graduates with relevant, real-world work experience. Some students have little to write about on a resume if their summers were spent in school, traveling, or working at low-level jobs. We strongly suggest that students seek career-related experience for their sophomore and junior summers. Some students graduate early through advanced placement credits, heavy course loads, and summer school courses. The advantages are lower educational expenses, and the ability to start employment or graduate school earlier. The disadvantages may include the sacrifice of academic honors, work experience, and extracurricular and volunteer activities that may contribute to a student’s maturity level and qualifications. Other students graduate late due to light course loads, academic difficulties, changing majors, poor academic advising, lack of direction, or reluctance to leave the cocoon of the college environment. Advantages to late graduation include the ability to improve grades with light class loads, extra time to change majors, the ability to take additional electives to improve marketability, and extra time to gain more career-related or leadership experience. Disadvantages to late graduation are increased college costs, and possible disapproval of employers and graduate schools. Have a “Plan B” or back-up plan in case they are not accepted. Students should discuss their interest in graduate or professional school well before their senior year with their academic adviser; the college’s graduate or professional school adviser (e.g., the pre-law or pre-med adviser); and a college career adviser to obtain advice and guidance from three different perspectives. Many students want to take time off after college graduation and before attending graduate school or taking a career-related job. Future employers will want to know how the student has spent the intervening time. Do activities during this period demonstrate relevance to future career goals and/or a good work ethic? While short-term travel may be personally broadening, it does not increase a student’s marketability to employers unless it is seen as career related. Therefore, the time off may result in a longer job search. For example, management trainee programs, which often begin shortly after graduation and hire large numbers of new graduates, may be filled by the time your child is ready to begin a job search. Students should visit the career center no later than their sophomore year. Most career centers provide individual career counseling/advising, workshops, internship assistance, and career fairs and programs—services designed specifically for underclassmen. Your son or daughter should seek help early with choosing a career and preparing for it. Competition for good jobs, particularly in certain fields, is stiff. The career center can advise students about how to become strong candidates for their fields of interest. By Marcia B. Harris and Sharon L. Jones. Courtesy of the National Association of Colleges and Employers.